This 3 bed / 2 (full) bath ranch home features hardwood floors, a large laundry room / mud room, lots of closet space, replacement windows, and a finished and heated 24 x 32 garage with an enclosed entry from the house. House comes equipped with a dishwasher and refrigerator. Accessibility features include lever door handles and a low threshold shower. Home is in Berrien County and just minutes away from Lakeshore and Bridgman. In the River Valley school district, and is within 11 minutes of Chikaming Elementary School, and within 15 minutes of Three Oaks Elementary School and River Valley Middle/High School. This 3 bed / 2 and a half bath ranch style home is in excellent condition and has plenty of space. Home features 9 foot ceilings, a large great room with surround sound and opening to the kitchen (complete with oven, cook top, refrigerator, dishwasher, and more), a formal dining room, an office, and lots of counter and cabinet space in the laundry room. But the tie for the pièce de résistance goes to the 3 season sunroom and the cutting edge geothermal cooling and heating system, including 11 inch poured concrete exterior walls to boost energy efficiency. Home is in Cass County and the Brandywine school district, and is within 10 minutes of elementary, middle, and high schools. Click the link to browse through more homes for sale in Niles, Michigan, or call Berrien Property today at 269-695-9595 if this is the one for you. 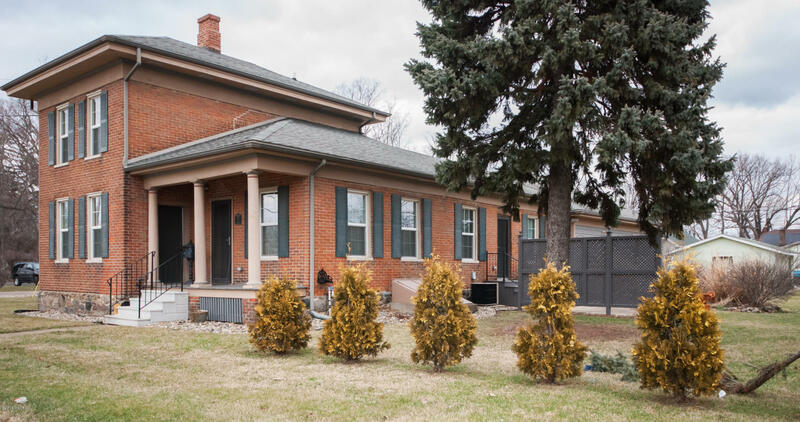 This 3 bed / 2 (full) bath, 2 story traditional style home built in 1855 has been extensively updated without losing its original, historic character. Home features 2 main floor bedrooms and 1 main floor full bath, a spacious living room, main floor laundry, a second story master suite and full bath, lots of closet and storage space, and original hardwood poplar floors. Beautiful kitchen features a center island and breakfast nook. Outside on this home's two plots, in addition to the high-ceilinged 2 car garage you will find an extra wide driveway and professional landscaping. Home is in Berrien County and the Berrien Springs school district, and is within 12 minutes of elementary, middle, and high schools. 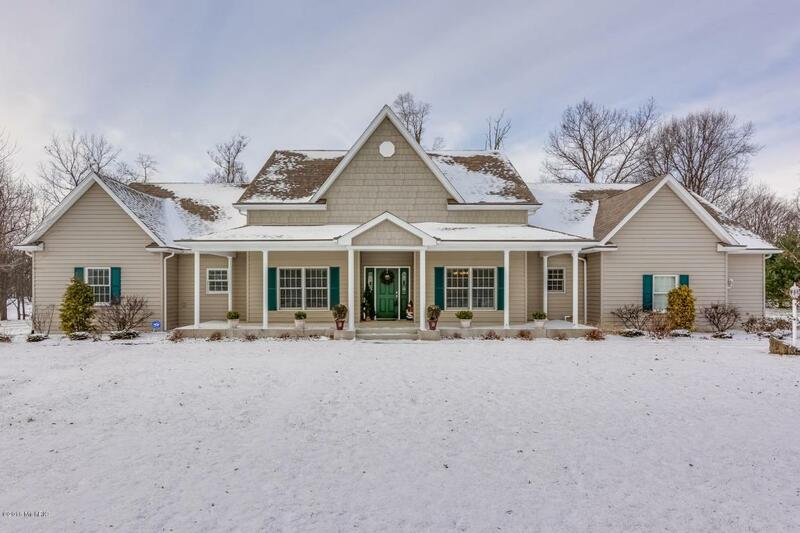 Click through for more homes for sale in Berrien Springs, Michigan, or call Berrien Property about this home today at 269-695-9595. Maple Beach is a 66 acre wooded condo site located on Wagner Lake in Berrien County Michigan. This 4 bed / 3 (full!) bath Cape Cod style home sits lakefront with spectacular views, and just steps away from the association beach and swimming pool. 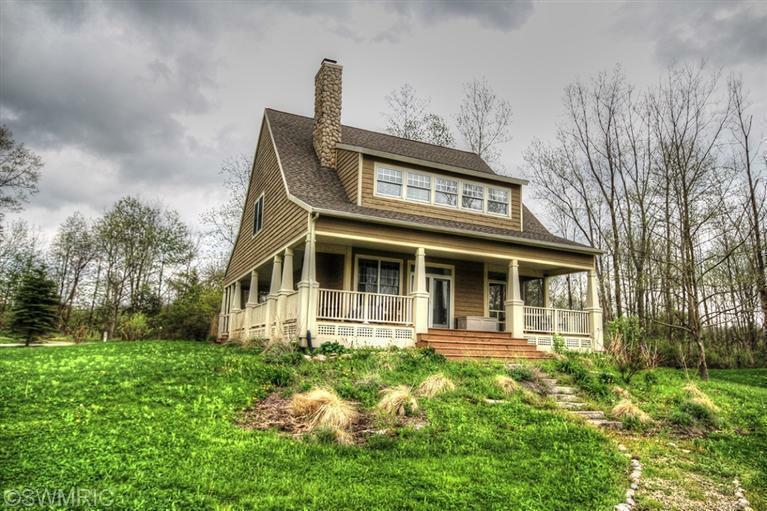 Home features hardwood floors, large bedrooms plus a bunk room for extra guests, main floor laundry, fireplace, master suite, and enclosed and open decks. Open area on second floor easily put to whatever use you need it for. County location allows for running, walking, or biking on the country roads. Less than 2 hours from Chicago and just 35 minutes to Notre Dame. Click to check out more homes for sale in Maple Beach, Michigan (and elsewhere on Wagner Lake), or call Berrien Property at 269-695-9595 today to view this home. 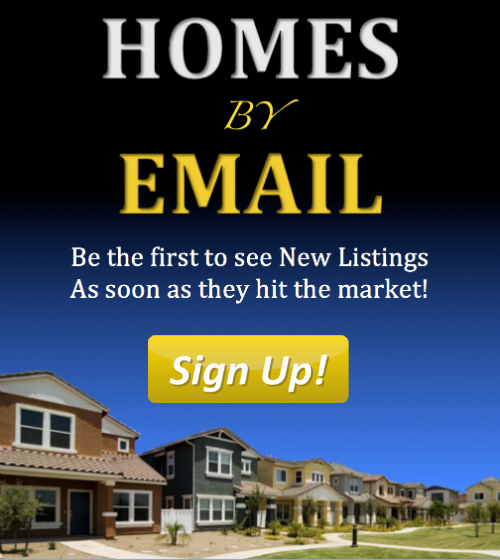 Or go back to our Home Page to search for more homes for sale throughout Southwest Michigan.